On May 19 the popular band twenty one pilots’ released their new album entitled “Blurryface.” Fans have been waiting with haste since the announcement on March 17, as their last album was released two years ago. 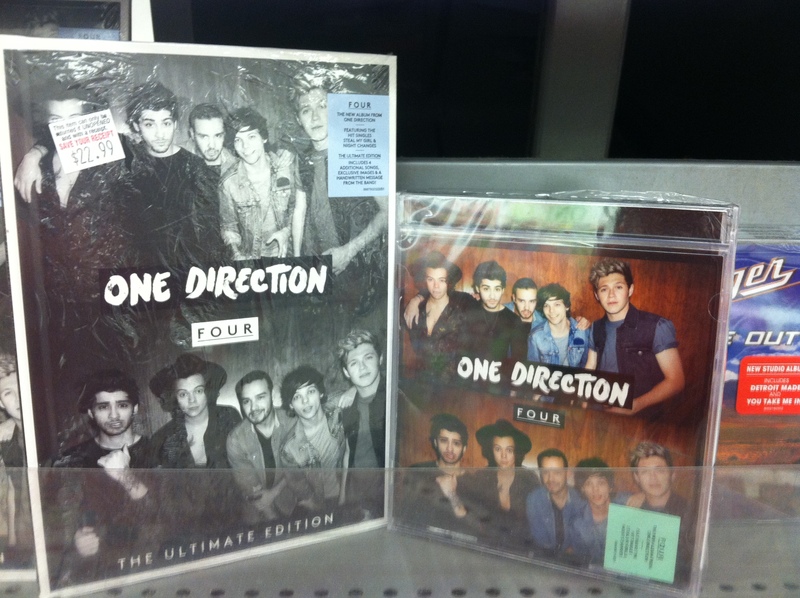 However, before the release date, the band released five of the songs that are on this album. “Tear In My Heart,” the second song released, deviated from the band’s usual neurotic pop-esque style. “Tear In My Heart” has a generally upbeat and rock-like feel to it. The song features lyrics such as, “My taste in music is your face,” and “My heart is my armor./ She’s the tear in my heart.” Such lyrics reinforce the happy attitude of the song, a break from their usual sad tone. The song is very enjoyable and encourages listeners to just get up and dance. “Fairly Local” presents an interesting sound that is difficult to describe. The song is mostly rapped with heavy use of electronic elements. The song has a much more complex meaning than the other songs on the album. The song includes the lyrics, “We’re so cold./It’s the few, the proud, the emotional.” The song has a much deeper meaning concerning how people handle emotions. The song has a consistent beat, but not one that is particularly danceable. “Lane Boy” is the most recently published song on the album. Although the song, at first glance, seems to deviate too much from the band’s usual style, but it actually has an impressive message. Tyler Joseph, the singer, included the following lyrics, “There’s a few songs on this record that feel common. / I’m in constant confrontation with what I want and what is popping in the industry.” The song is mainly rapped, but inculdes a very danceable beat and heavy use of electronic elements and percussion. The song goes on to discuss how twenty one pilots feels pressured by the music industry to “stay in their lane,” which is exactly what they do not want to do. All in all, the prospects for this album are very good. I, along with many other fans, eagerly awaited the release of their new album. In the last few decades, rap music has become a popular genre. Not only has it been wildly popular, but also controversial. The curse words,drug and alcohol references, and degradation of other people have raised question about the genre. This extends not only to popular rap songs on the radio, but also to places as simple as a personal Soundcloud, a website which allows people to post their own music. I in no way believe that any genre should be excused from the backlash created by racy or degrading lyrics, and there is another genre that is frequently overlooked for the same degradation of both women and people in general: country music. At first the idea that country music is just as inappropriate as rap sounds crazy, but these lyrics are nearly the same, the main difference is the background music. Country has guitar and banjo and drums, whereas rap has lots of bass and music made on a sound board rather than with actual instruments. Another thing I fail to understand is why it is okay for Jason Aldean to sing “Smoke rollin’ out the window/An ice cold beer sittin’ in the console” is accepted as appropriate. It is a widely known fact that having open alcohol containers in a vehicle while driving is illegal, this activity is mentioned in these lyrics. Meanwhile when 2 Chainz sings “Wake up in the morning, roll a blunt and then I count bank/Pull out the garage, hit a button then the top faint,” it is seen as inappropriate. “It seems that the only difference is the fact that there is a fiddle, or other instruments in the in the background of country music,” said Hailey Patton, 11. Society should not be excusing explicit messages for some people but not others. I do not see why explicit messages about drugs, partying, and the objectification of women are excused for one genre, but not the other. 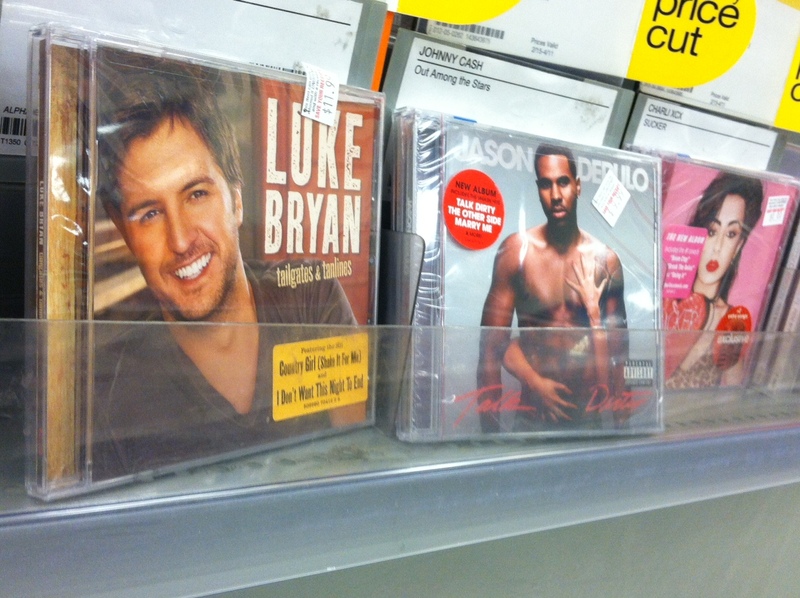 If one genre is held in contempt for racy lyrics and negative messages, the other should be as well. On February 7, a beautiful concert took place at the Old National Center in downtown Indy: The Sleeping with Sirens and Pierce the Veil concert. The two bands have been touring together for their Rockstar Energy Drink tour, alternating as headliners. At this particular show, Sleeping with Sirens headlined. Before the two better known bands hit the stage, two other bands opened up. The first band, Mallory Knox, got the crowd pumped. Personally, I did not know of the band until that night, so every word they said sounded like verbalized mashed potatoes. However, they still sounded swell. The second opening act, Pvris, swept me away. They had a female lead singer, which is rare in the pop-punk world. The crowd had mixed reactions to the band, despite the amazing vocals. I would have listened to that band all night. That girl knew how to perform. After a long wait, Pierce the Veil took the stage. The crowd went crazy for them. Lights flashed, the bass rang through the air nonstop, and to top it all off, the band members kept throwing picks and drum sticks into the crowd. This is when the pushing and shoving became a battle amongst the fans. Everyone fought to get to the front, which made it really hard to record anything, or even enjoy the music. Once the crowd settled down, the show became easier to spectate. The band cleared the stage and the lead singer, Victor Fuentes, sang an acoustic version of their song “I’m Low on Gas and You Need a Jacket.” It was a nice break from the intense sound. Before Sleeping with Sirens took over, the lead singer, Kellin Quinn, joined Pierce the Veil to perform a song he is featured in, “King for a Day.” It was one of my favorite songs to watch them perform because Quinn and Fuentes work so well together on stage. By the time Sleeping with Sirens finally took the stage, I had made it to the front of the crowd. Once the band began playing, I was mesmerized. The whole band knew how to rock the stage and blew me away. After a few of their ear-ringing jams, the band also took a break with an acoustic cover of the Goo Goo Dolls song, “Iris.” Phone lights waved in the air like lighters and the whole crowd seemed to be singing along. Overall, the concert was perfect. The lights, the sound, the people, despite the body odor and mosh pits everywhere. My ears rang for three days after, and I’d have to say it was totally worth all the bruises. Nothing lasts forever in life. This cold hard fact is especially true in the music industry, as one can see by looking at some of the popular artists of yesterday. Band members such as the famed rock guitarist Slash and drummer Peter Criss have been replaced due to creative differences and petty feuds. Singers like Paul Stanley and Axl Rose have lost their famous singing voices after years of performing and drug usage. These sorts of issues have a negative impact on a music group’s sound, which leads to mediocre albums and tarnished reputations for bands that once dominated the charts. Remarkably, the Australian rock band AC/DC has not suffered this fate. 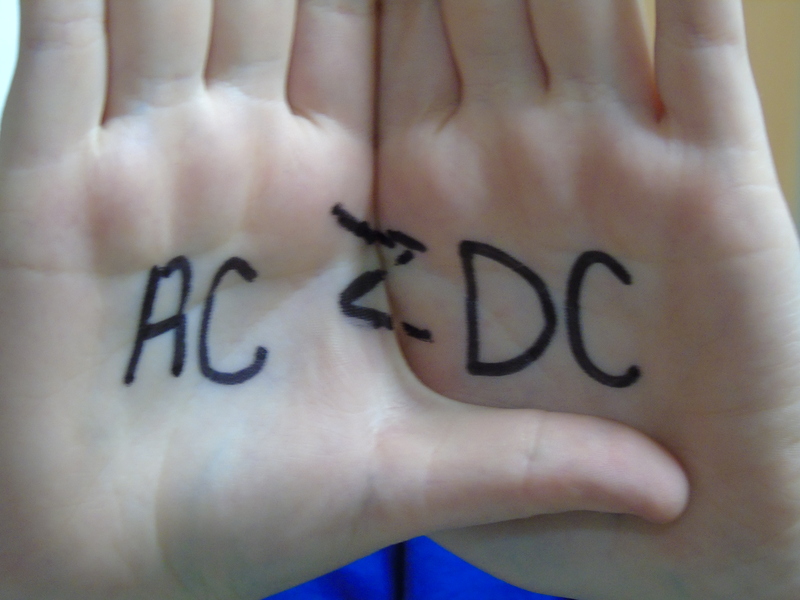 While bands like Guns ‘n Roses, KISS, and Aerosmith have lost their touch, AC/DC is still going strong. They have endured the death of their original lead singer, Bon Scott, and have continued, or should I say, continue, to tour and release new albums even after 42 years. They have remained popular and successful over the years despite constantly changing musical trends and demographics. They are without a doubt one of the best rock bands around today, and have been for much of their career. Why? Because they bear in mind the “If it ain’t broke, don’t fix it” mentality that so many rock bands have ignored. AC/DC has stuck with the same powerful, unique style and sound for as long as they have been together. Their newest album, “Rock or Bust,” is a perfect example of both their sound and their commitment to it. Released back in November, “Rock or Bust” can best be described as eleven tracks of the loud, bold, head-banging hard rock that AC/DC is famous for. The high point of the album, beyond the shadow of a doubt, is the song “Play Ball.” Guitarists Angus and Stevie Young provide a catchy and infectious melody that is complemented perfectly by lead singer Brian Johnson’s unique, raspy voice. The following track, “Rock the Blues Away” wins big with this critic thanks to its upbeat lyrics, and “Dogs of War” and “Hard Times” have the slow, dark tempo that AC/DC has perfected over the years. In short, “Rock or Bust” is an excellent album, and serves as a testament to AC/DC’s longevity and overall success. The album sold over 387,000 copies in the first week of its release, and has been listed on 17 different charts around the world for over 20 weeks. One Direction is the first band in history to have debuted at number one on the “Billboard 200” charts four consecutive times. After such a successful album,the question remains: What is next for the internationally known European band? The dynamic quintet will kick off their fourth headlining tour, “On The Road Again” in 2015 with over seventy shows in 19 countries. Including one show here in Indy at the Lucas Oil Stadium on July 31, and tickets are on sale now. The OTRA tour kicked off in Sydney, Australia on February 7.